This is to intimate you that the course registration for the odd semesters for the Academic Year 2018-19. 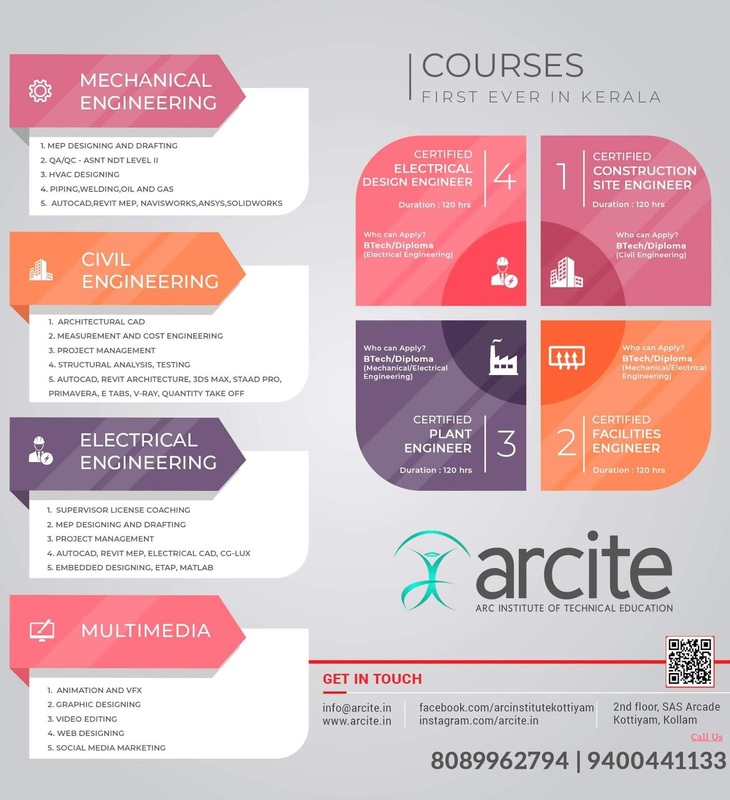 The last date for Course/Exam registration for B.Tech/B.Tech Lateral Entry//M.Tech/B.Arch/M.Arch/M. Plan/MCA/MCA Integrated/MCA programs is extended to 26-10-2018. The last date for submitting the details in the portal is 26.10.2018. Students are directed to complete the registration process with students log in through university e-governance portal. 1. Go to KTU Student Login Portal Click Here. 2. Click On "Course/Semester Exam Registration". 3. Then Click On "Register New Courses" button followed by "Academic Year: 2018-2019". 4. Then Tick the subjects and save, after confirmation click on Submit button. *Course registration is mandatory, those who failed to register will not be listed for university examination. *If you are experiencing any difficulties or confusion, you may contact respective Tutor. 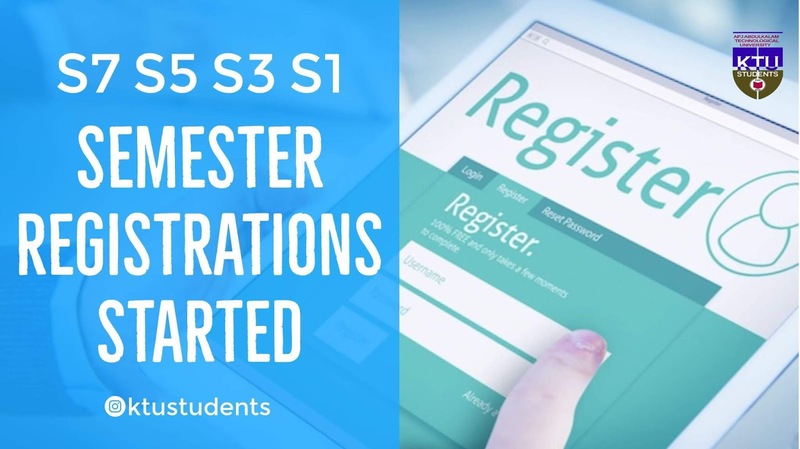 Ktu b.tech odd semesters s7, s5, s3, s1 course registrations started on ktu students portal.how to register for ktu s7 semester, s5 semester, s3 semester, s1 semester in academic year 2018-19.